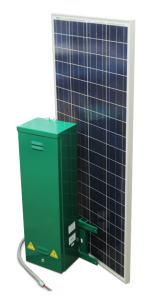 Solar Kits: The most economical & environmentally friendly power option. AC Power Module: For use when 120V AC line power is readily available. 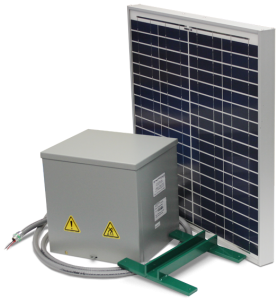 Battery Charger Kit: For use with “block lit” street light power where power is only on at night. Sign draws on the battery during the day, and then charges from the street light power during the night. Special Note: Not for use with photo cell operated street lights. Battery Box: For use in portable short-term applications (includes batteries).